Inventory We are a resale marketplace, not a box office or venue. Ticket prices may exceed face value. This site is not owned by Capital One Arena . 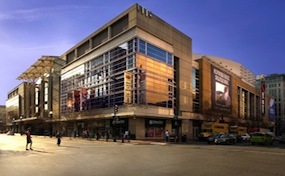 The Capital One Arena is an arena that was officially opened in December 1997 along 601 F Street Northwest Washington D.C. On its inauguration, this arena was known as the MCI center but the name was changed after MCI inc. was purchased by Verizon Communications and was known as the Verizon Center for many years. Since its opening, this Washington D.C arena has been used as the venue for sports activities, touring concerts and performances by comedians. When there is a scheduled Ice hockey tournament, the seating chart allows ticket sales to a maximum of 18,506 fans. If it\?s a basketball match, the management can sell tickets to 20,308 people only. Teams that are currently using the Capital One Arena, Washington D.C. as their home include the Georgetown Hoyas that play in the NCAA, the Washington Capitals that play in the National Hockey League, the Washington Wizards of the NBA and the Washington Mystics of the WNBA. Between the 2001 and 2002 NLL season, the Washington Power used this arena as their home ground. CapitalOne.Arena-WashingtonDC.com is not a primary vendor, supplier, or affiliated with any official website. We proudly provide access to a large supply and low prices online for all secondary market events. Ticket prices may be well below or above face value and will fluctuate with demand. To purchase tickets for all Capital One Arena Washington DC Events simply click on the show of interest or call our operators at anytime.